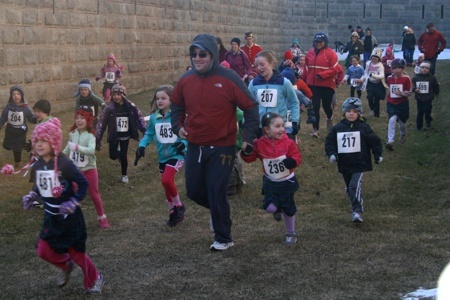 Runners charged through the moat and across the parade grounds during the MEC Citadel Highlander Race on Sunday. Parks Canada staff steered racers around the course and warned fans from lingering under ramparts that still glistened with icicles. Naturally, organizers added a few historical touches to the event. 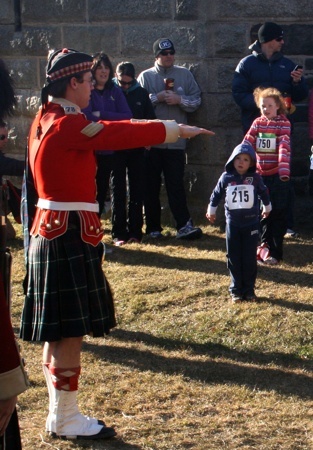 A Highlander led the pre-race stretch with exercises used by soldiers long ago. Another fired a musket to start the race.